Styled with aly tank and val legging . 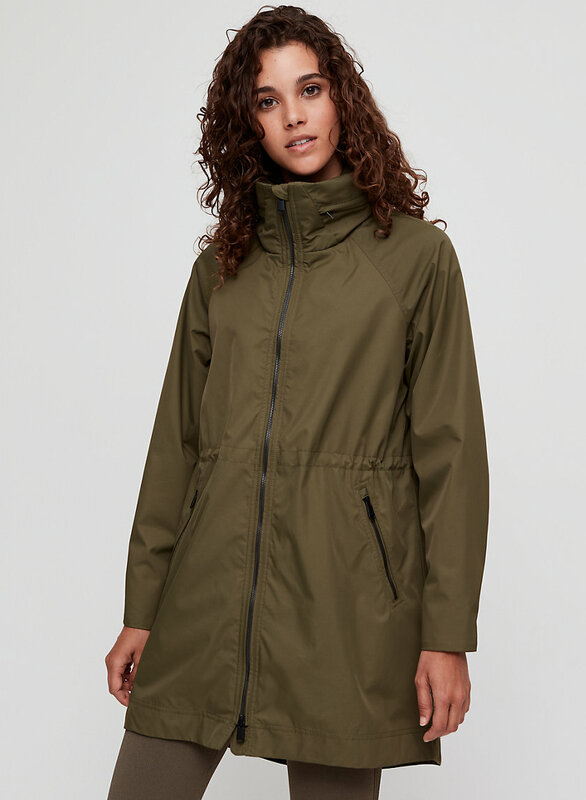 This modern jacket is tailored with a sleek nylon twill that's been laminated to make the fabric water-repellent and windproof. Reflective tape accents and a pack-away hood play into a technical, athletic inspiration. Really flattering cut. Loose, in a good way, but you can pull in the waist a bit which gives it shape. 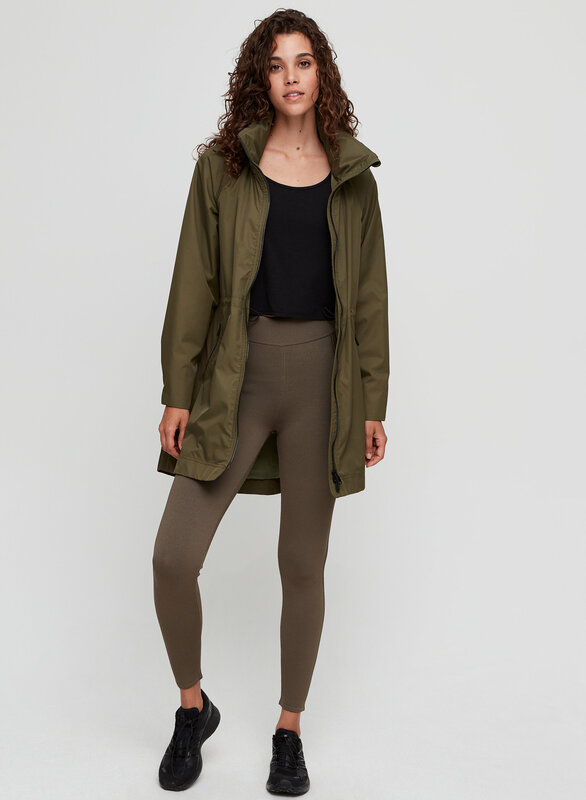 I workout a lot and and so am often wearing leggings or jogging pants, and this jacket goes really well with athletic wear. So many great features! The hood packed in the collar is convenient and gives it structur, making it feel more elevated. The pockets are so deep I don’t even feel like I need a purse. 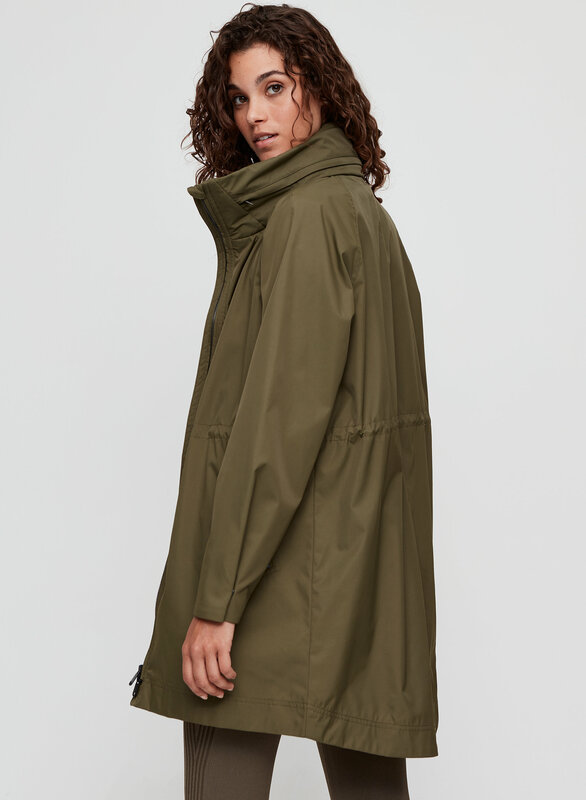 This will be a staple in my Copenhagen capsule wardrobe this spring! 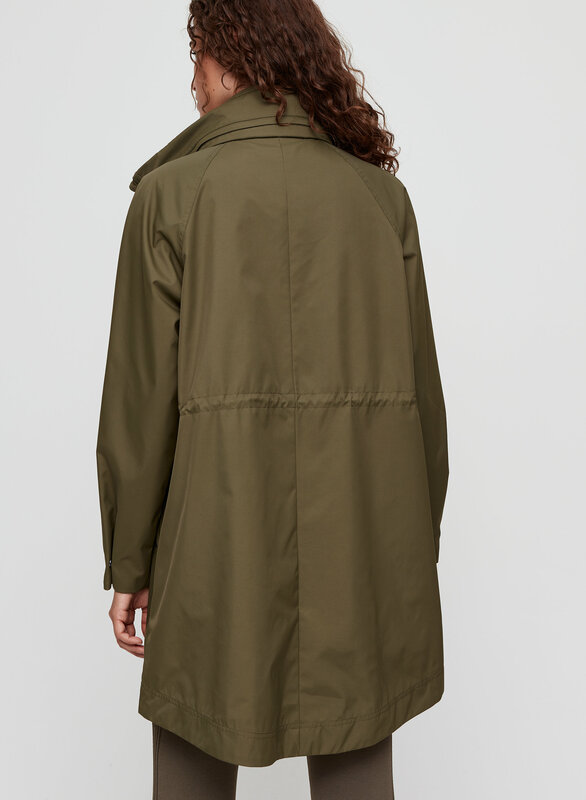 I am so in love with this jacket, that I bought it in Black & Tuscan Olive. Fit is flawless, quality is excellent. Worth the price tag. 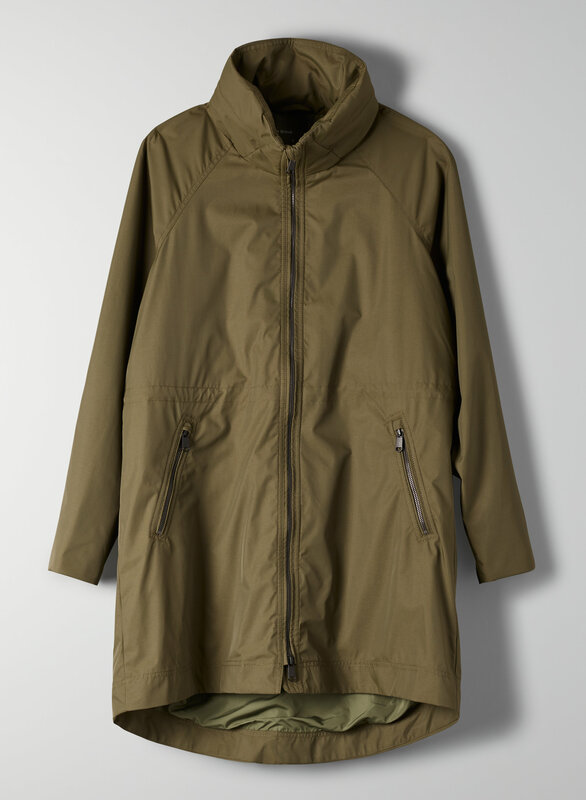 This jacket is flattering for all body types and works with a variety of outfits. It’s practical for on the go travel whether to work or abroad. I love the cut and the length of this jacket. I am curvy and it is very flattering. The jacket is great quality and a perfect fit. I love everything about it! It fits great! The option to make the waist tighter makes it great. The neck is a little higher than I expected but still great. This is exactly what I expected when I ordered and arrived timely and in pristine condition. 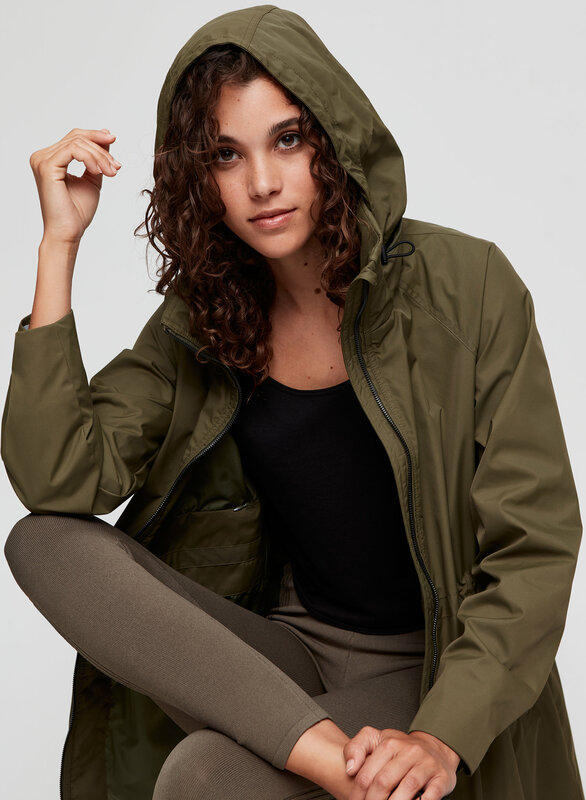 This jacket is the perfect solution to those in between weather days: Cold and rainy in the morning with warmer than expected afternoon/evenings. Love this jacket! Very flattering with the pull waist. I ordered two sizes smaller because it is a generous fit! It’s the perfect fit and style, true to size! I love it! i got the valenti in stoneor ash, it looks amazing with the gunmetal zipper which makes pairing it with an all black outfit super easy. the only thing is size, i usually get a medium, but that was way too big. exchanged for small and it looked way better overall with the exception of the sleeves being a tad too short, but nothing some arm candy cant fix.